In Kato Trikala, Corinthia, 120 km (about 1 hour and 40 min) from Athens. Overlooking Mount Ziria, the five-star Pliadon Gi (Pliades Earth) Mountain Resort & Spa is an ideal winter destination for those seeking isolation and repose or for lovers of the great outdoors. The resort gets it name from the Pleiades, who according to Greek mythology were seven nymphs, daughters of the titan Atlas and the sea-nymph Pleione, who was born on Ziria. The independent suites are ideal for moments of peaceful isolation. 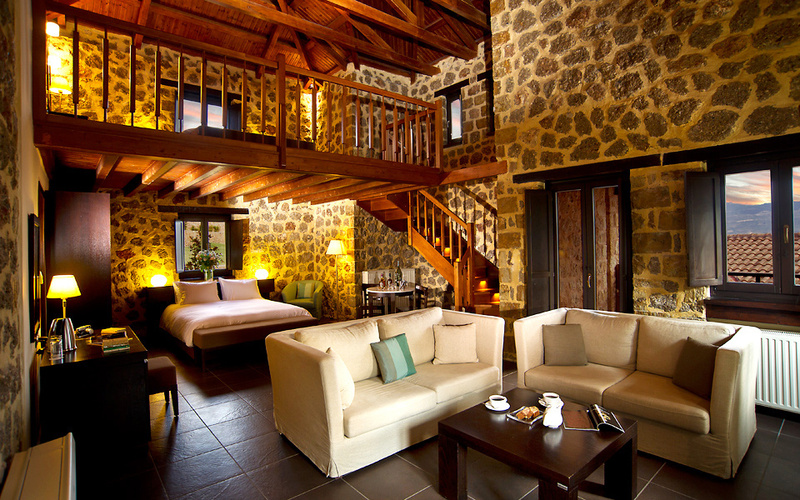 Stone and wood predominate in the resort’s 20 luxurious self-contained suites, enabling them to blend harmoniously with the rocky surroundings and offering the cozy feel of a home away from home. The suites come with fireplaces, comfortable beds, elegantly furnished living rooms, spacious bathrooms and private terraces or verandas that offer intoxicating views of the surrounding mountains. For relaxation and rejuvenation the resort features a 350 sq. m. spa with an indoor/outdoor pool, sauna, hammam, jacuzzi, relaxation rooms, beauty cabin and gym. Unique facial and body treatments are also on offer. Why not try a Thai massage session? Or even chocolate therapy? 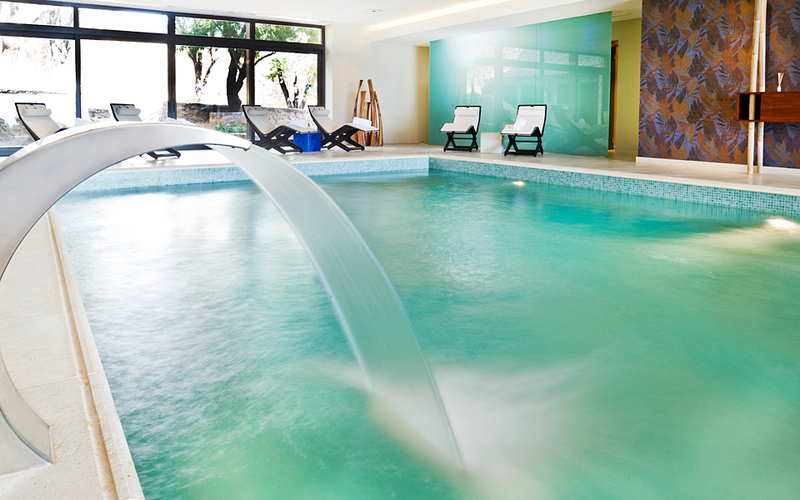 The facilities of the spa challenge the visitor to leave the anxiety and stress behind. 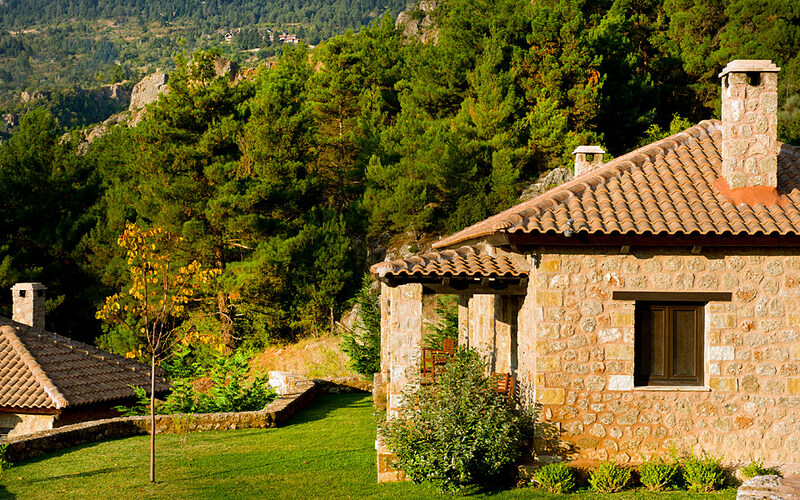 Pliadon Gi’s proximity to Athens makes it ideal for business meetings, conferences or seminars. The resort features a conference room (with a capacity of 80) that comes fully equipped in order to make business encounters a pleasurable experience. In the resort’s elegant restaurant, the creative chef prepares delicious traditional Greek recipes, but also gourmet international dishes, using excellent quality local products and ingredients that vary depending on the season.